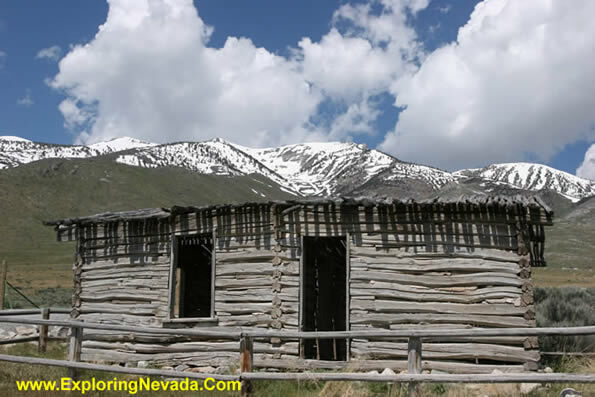 This old cabin is found just off the Ruby Valley Scenic Drive. This cabin is found just a few miles north of the Ruby Lake National Wildlife Refuge Headquarters. The snow-covered peaks of the Ruby Mountains and an approaching storm provide a nice backdrop, too.